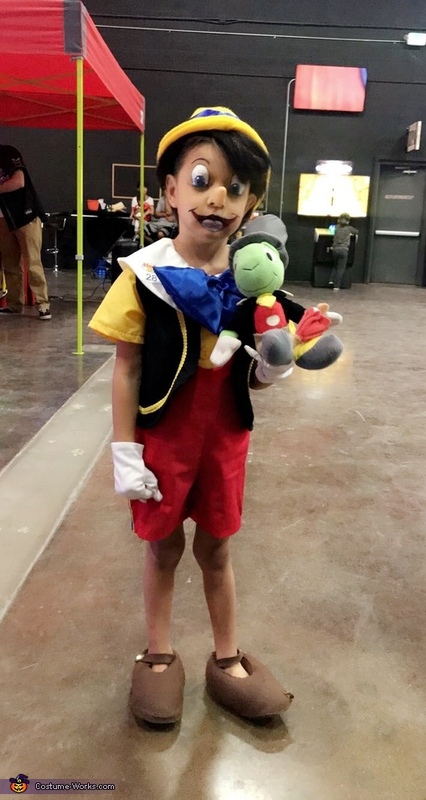 My 4 year old son made the perfect Pinocchio because he is so skinny. Everyone loved him. Took me 2 weeks to make his costume and about 4 days to make his shoes and 1 day to make the prosthetic nose.